It’s been much too long since our last New Stitch Wednesday. Last month was a bit crazy! There was several big events at work and a ton of dental work… But I’ve been saving up a good one for you! This is part two of our Weaving in the Ends series, and it’s my favorite way to weave in ends. I hope you’ll love this little tip as much as I do! What you’re basically going to do is crochet over the yarn ends as you go. For the sake of this tutorial, I’ve used a contrasting strand of yellow yarn to show where the tail end of the yarn goes. When you change colors or run out of yarn, you will end up with two yarn tails gathered at the same place in your work–one from the previous ball of yarn and one from the new ball. 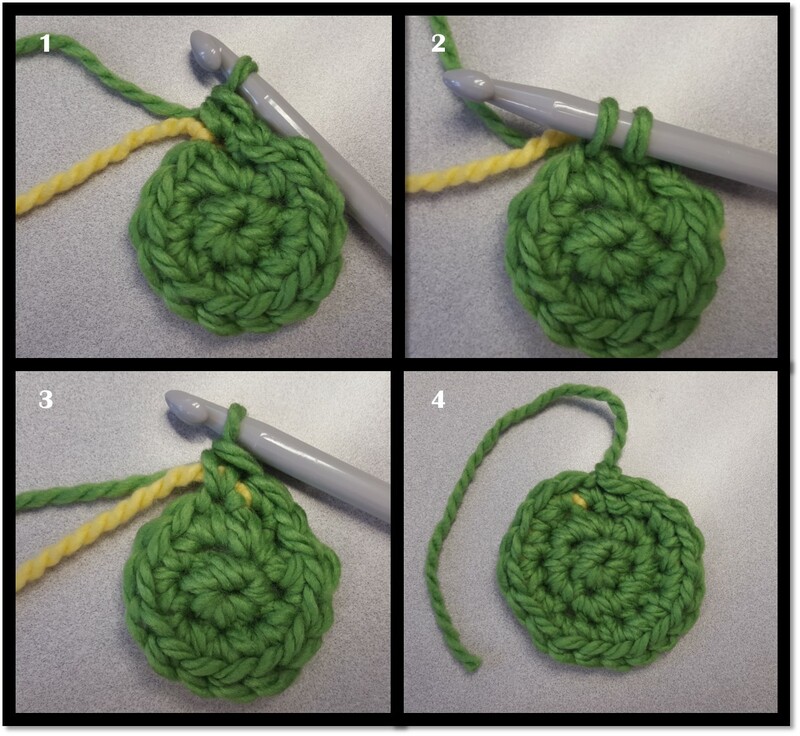 In this tutorial, the green tail end (harder to see in the pictures) represents the tail from the previous ball of yarn and the yellow tail represents the tail from the new ball of yarn. In cases where you are still working with a single color and you haven’t run out of yarn, but you still have that initial tail end of the yarn from your foundation chain, you can use a yarn needle to feed the tail up to your current row and then continue to work this method of weaving in the ends. At the start of a new row, ch 1. Place the tail end(s) of the yarn over the next st of your working row. Insert your hook into the first st of the row and yarn over, making sure you yarn over the tail ends of the yarn. Pull the loop through the st. 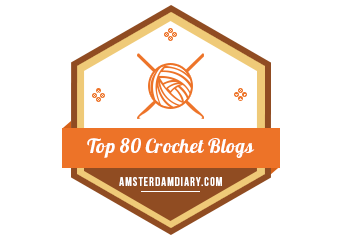 Complete your first sc st by yarning over and pulling the yarn through the loops. Repeat across the row or around the round, if you’re working in a circle. When you’re satisfied with your woven yarn tails, snip the end. To avoid cutting so close to your beautiful project, you can pull the yarn tail firmly through the last few stitches, snip it a little further away from the work, and then let the cut end spring back into place, hiding in your lovely stitches. You don’t want to accidentally cut your work! Pretty easy, right? This method works great for when you’re working with lots of color changes, such as striped hats or scarves. It also keeps the yarn ends nice and snug in place, especially if you have tight stitches. The tighter your stitch, the snugger the yarn tail! I use this method whenever possible, mostly because it keeps the tails snug, but also because I have fewer ends to weave in after I finish crocheting the main part of my project. It’s a win-win! Previous postGo bananas over this special July price!